At the beginning of the school holidays I asked Miss 4 and Miss 6 what we could do together for fun. Quite a list emerged, including – ride the bikes, play ‘Cinderella’, take photos, see Toy Story 3, play soccer in the backyard, tease Mum and go to websites – and ‘Dad, can you fix the Wii’? 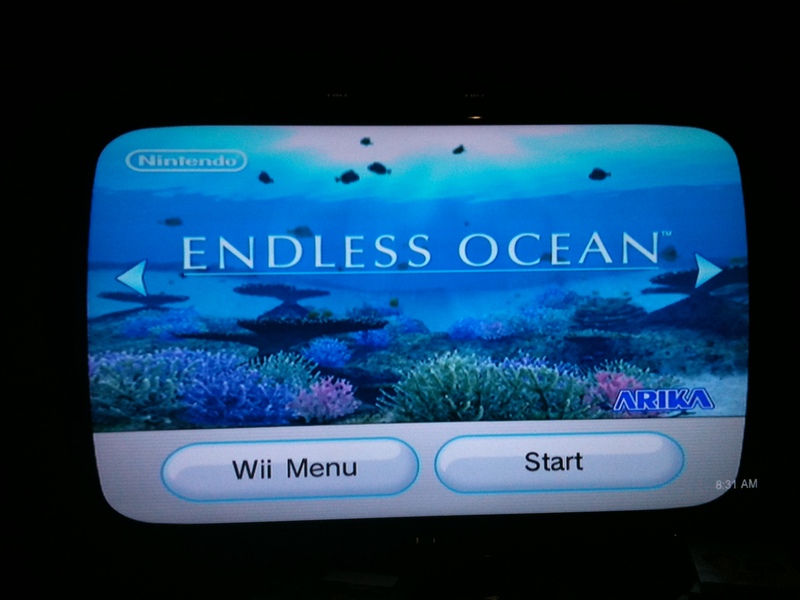 The Wii is now fixed and we had fun playing Endless Ocean this morning. the Endless Ocean does not have a voice-over so Lucy, Miss 6, reads the narrative and instructions aloud to Sarah, who is very quick to point out, when her personal narrator slackens off, that she can’t read – ‘yet’! Playing a fun game like this, although some reviewers are less than positive and describe it as ‘boring’, led to reflection about situated learning. 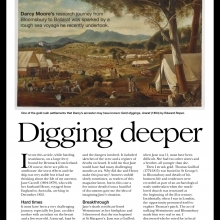 Is it news to any Learning Professional that people do best when learning is ’embedded in an activity, context or culture’ and that de-contextualised learning leads to boredom and disengagement? We improve our skills when having a wothwhile purpose, enjoyed in the context of our ‘real’ or ‘imagined’ life. The language of situated learning is embedded in all kinds of education and syllabus documents but school so often fails to be ‘authentic’. The bell ringing and everyone shuffling off is not conducive to ‘getting in the zone’ for too long at all. Have you read James Gee’s work or listened to him speak at a conference? I love most of what James Gee has written. Started off with his books and ideas about video games and then exploring his back catalogue via interlibrary loan and my wallet. It is some of the most important work about language and learning ever written and I cannot recommend any academic work more highly. Gee taught me that learning is contextual, situated and social. His book, Situated language and learning: a critique of traditional schooling is amusingly brilliant and a completely engaging ‘must read’. Gee’s ideas on assessment are also very sage. In conclusion, I had some validation while writing this post as my youngest daughter came up to me with the cover asking me to read the synopsis – which I did with delight. I know, when they find out about the sequel, the girls will want it as a present; I will be happy to oblige. What an interesting post! Sounds like your girls are very lucky to have such an engaged dad! 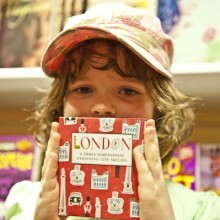 And sounds like you are very lucky to have such darling little girls with their eyes wide open to learn. I completely agree with your comments about authentic learning. It is SO important to provide learning experiences for our students that feel like fun, compel them to learn, motivate them to seek answers, and just allow them to ask questions! If it is contextualised, some of the answers are more relevant and some of the questions are deeper. And isn’t that what we are trying to achieve? Lovely to see you championing such a tremendous resource. We first saw this back in 2008 http://bit.ly/9FWTTh and thought that the immersive/sandbox nature of the game would provide the perfect vehicle for us to use this as the contextual hub in a cross-curricular learning project in the upper primary school. Our frst efforts with the game can be viewed here http://bit.ly/5l4zm We are constantly heartened at the reaction of teachers and classes in schools around Scotland who have been using the game in class and how it is impacting on so positively on teaching and learning. My development officers at the Consoalrium in Scotland are supporting schools with a range of game based learning rojects including another Endless Ocean 2 and another immersive game called Wild Earth African Safari. Again just fantastic learning going on. We’ll be publishing some case studies very soon. The situated learning view is one that is very much informing our practice too.